Existential Ennui: WIN!!! 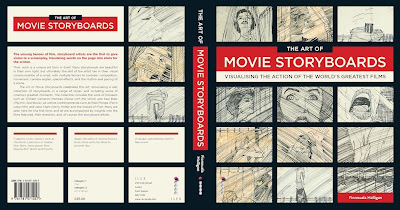 Brand New Illustrated Book The Art of Movie Storyboards! WIN!!! Brand New Illustrated Book The Art of Movie Storyboards! As trailed at the end of last week, it's competition time! Woo! I've only run competitions on Existential Ennui twice before, so you know I'd have to have something pretty darn special to give away in order for me to use up valuable blogging time and energy on such an endeavour. And indeed I do – in fact I can personally vouch for the excellence of the prize, as I had a hand in its creation. 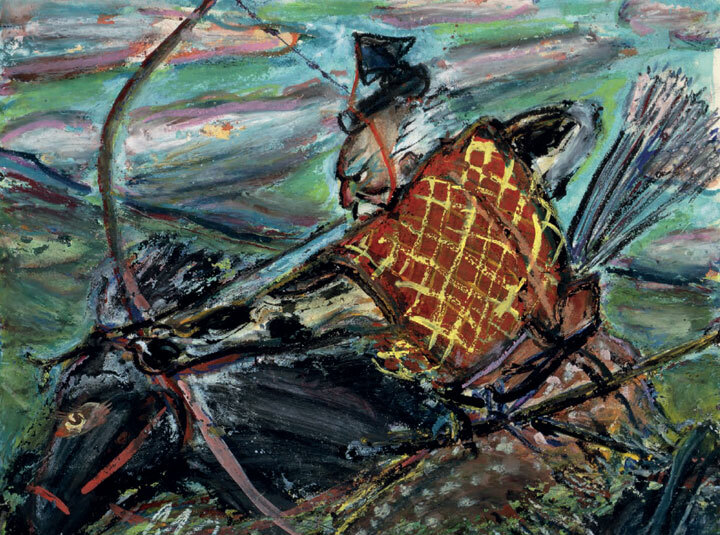 The Art of Movie Storyboards, published this week by The Ilex Press in the UK and next week by Chronicle Books in the US (where it's going under the title of simply Movie Storyboards). Written and researched by Fionnuala Halligan, it's a great big 240-page hardback exploring the rich history of movie storyboards, from early pioneers like William Cameron Menzies (Gone with the Wind, Spellbound), Saul Bass (The Birds, Psycho), Hein Heckroth and Ivor Beddoes (The Red Shoes) to modern day artists like Temple Clark (Cold Mountain, The Invisible Woman), Jane Clark (Harry Potter and the Goblet of Fire) and David Allcock (Anna Karenina). In amongst those are storyboards from such film classics as, deep breath, Spellbound, Rebel Without a Cause, Spartacus, West Side Story, The Longest Day, To Kill a Mockingbird, Star Wars, Apocalypse Now, The Crow, Brazil, Caravaggio, Animal Farm, Who Framed Roger Rabbit, Oldboy, Pan's Labyrinth and Gladiator. As I say, I can testify to all this because I edited the book, in my day job capacity as managing editor at Ilex – although I should further point out that any credit should go to author Fionnuala and picture editor Katie Greenwood, who between them managed to source and secure artwork from all of the above films, plus more besides (no easy task, let me assure you). Still, it was nice to be involved in the process – slavering over the scans of Akira Kurosawa's gorgeous painted storyboards for Ran when they arrived; poring over Martin Scorsese's own simple but fascinating boards for "Sugar Ray 3", an entire fight sequence from Raging Bull; puzzling over whether we'd got the order right for the sequences from Raiders of the Lost Ark and Pather Panchali (we did – I think) – and I can take some satisfaction in having played a minor part in the creation of such a splendid tome. And having sung its praises so thoroughly, the least I can do is tell you how you can get your hands on a copy (aside from purchasing one, obviously). To be in with a chance of winning one of the three copies I have to give away, answer this question correctly: above you can see Wiard B. Ihnen's evocative storyboards for Fritz Lang's 1941 film Man Hunt, but which 1939 novel is the film based on? 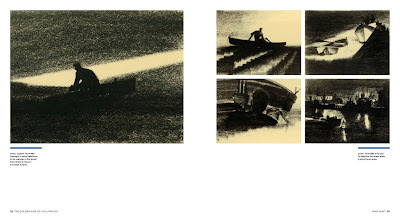 As a clue, I've blogged about the book multiple times on Existential Ennui – in fact, you could say its author is a household name round these parts. and buy the thing here and here. Good luck! I was interning at a library a few years back and had the chance to get up close to the storyboards from Butch Cassidy and the Sundance Kid, which was very cool, so this book should be pretty neat.